On this site we collect short stories from the life of next-generation companies. These are the seeds of the future in the present. We want them to help in the development of your organization. 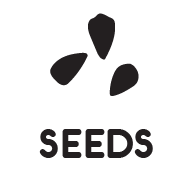 Seeds live thousands of years and are distributed in hundreds of countries. The authors of the book Made to Stick show that seeds often survive the civilizations that created them. Behind each seed there is a living person and a living company. We want to make their stories available to you, so whenever possible we give links to the videos and the texts of the original interviews. The future of organization is already present in the many innovative projects in next-stage organization and their stories need to become more visible so that new the practices worth replicating can spread faster and farther. To support that our action research team designed this simple process, in which we compiled a set of evolving questions and we look for stories that address them, told in first person. It will inform about what the future organizations are and what practices they use. It will show examples of such companies from real practice. It will acquaint you with the living people that such organizations grow. It will put the questions in front you and identify the problems, which arise when creating living companies. This is a new evolutionary stage of business development. These are successful businesses with meaning and a human face. They are very different from ordinary companies with their philosophy, approach to business, the tools they use. Now in the world there are many theories and movements that study and unite the experience of such organizations, Conscious Capitalism, B-corps, Triple bottom line, Teal Organizations, just to name a few. In Russia, the phenomenon of future organizations gained fame thanks to Reinventing Organzations by Frederic Laloux, which was published in Russian under the title “Discovering the Future Organizations”, by the publishing house MIF. Let’s take for explanation (not the only, but simple and accessible) concept of the organizations of the future, about which F. Laloux speaks. According to Laloux, such organizations differ from ordinary companies by four things: one metaphor and three evolutionary breakthroughs. Metaphor: the company as a living organism. Laloux remarks that people in such organizations think of their companies not as machines or mechanisms, but as living organisms. Breakthrough 1: Evolutionary purpose. People in such organizations listen to the highest potential of the companyand are guided by it in making decisions. Breakthrough 2: Self-management. These companies use flat management structures to maximize employee engagement, flexibility and responsiveness. Breakthrough 3: Wholeness. Man is the basic value in such organizations, they do everything not to reduce it to a function or cog in the system, but to accept it as an integral personality and maximize its potential. If you want to learn more about the theory of the question, read Laloux’s book or dive straight into practice and continue to get acquainted with the living research. We conduct interviews and collect new seeds, focusing on these issues. They are needed to deepen our understanding of the topic. By the way, if you have a question about the organization of the future, you can add it to the questions section. The live research is conducted by an open community. There is us – the editorial team. We are looking for interesting stories that are open source, by talking with people who work in the organizations of the future and collecting seeds. There are people who create the organization of the future. They just do their job cool and kindly share their stories with us. There are readers who read these stories, think, argue, comment on them, but do not stop there, and also do innovative, “next-stage” things in their companies. If you have a story from the life of a “company of the future” in any country, please share it with us. So we together will help the seeds of the future spread and germinate in our companies.